Due to popular demand, and the most successful August ever, the New Forest Tour has been extended to Sunday 14 October. Now visitors have an extra four weeks to explore the New Forest National Park and take in the spectacular views of its stunning landscape on the open top buses. The hop on, hop off Tour is the perfect way to explore the New Forest whilst leaving the car at home. The Tour has two interchangeable routes that stop at key villages and tourist attractions and there is room onboard for bikes. New for this year is a GPS activated commentary for passengers to find out more about the history and culture of the Forest. The green route visits Lyndhurst, Brockenhurst, Beaulieu and Lymington and stops at the National Motor Museum, and Exbury Gardens and Steam Railway. The red route stops at popular holiday destination Sandy Balls Holiday Park at Godshill, plus Ashurst, Lyndhurst, Burley, Ringwood and, for the first time, goes through the centre of Fordingbridge. David Harrison, Lead Member for Transport at the New Forest National Park Authority, said: ‘Feedback from this year’s New Forest Tour has been fantastic. In August the service carried over 15,000 passengers – our most successful month to date. Not only is it a great contributor to the local economy but reduces the number of cars on New Forest roads too. 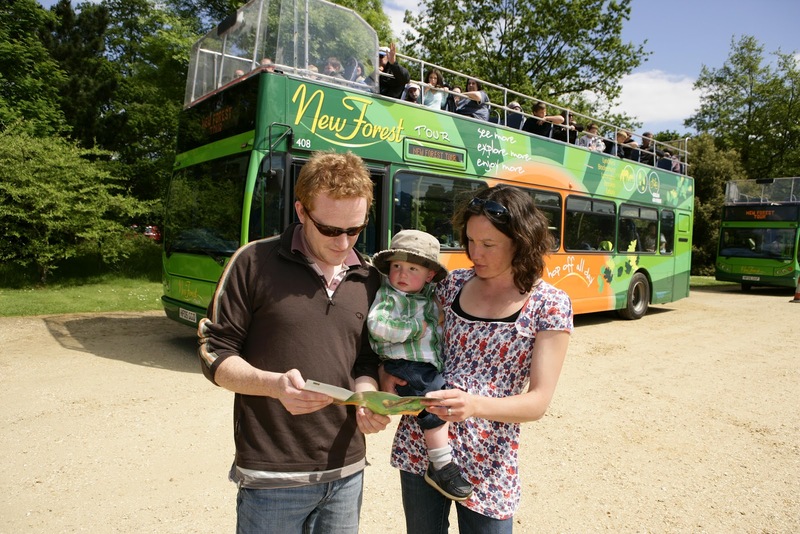 New Forest Tour customers receive a New Forest Tour Official Guide, which includes a Brand New Forest card with offers available at businesses along the route, including places to eat and drink, shops, and attractions. A range of flexible ticket options is available including a two-day ticket valid on both routes (adults £14), and group tickets for up to five people at £28 a day.